Disney is officially calling it "glamping", rather than camping, which I'm told is a blend word for "glamorous camping". 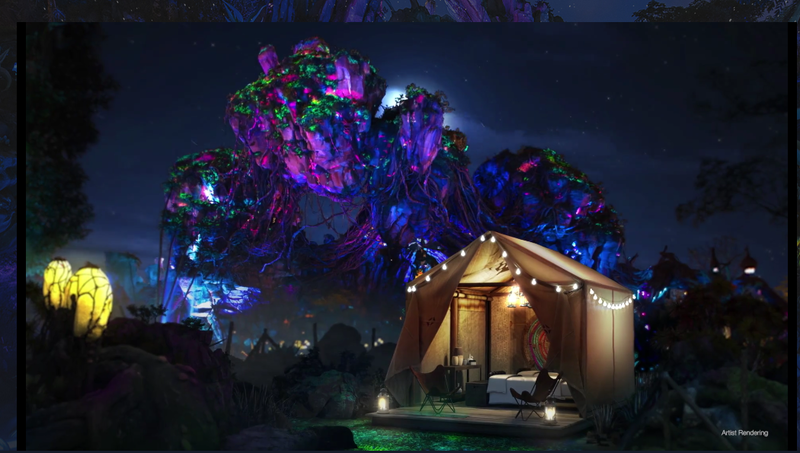 So, how do you go glamping in Pandora? You win your ticket, you choose which of your friends you bring along with you, and you begin by entering the contest here. 2009's mega blockbuster Avatar is one of James Cameron's masterpieces, and it grossed nearly $2.8B in theaters. I say "one of" because he also put together a couple of other fairly popular movies, such as Titanic, Alien, and Terminator. Disney wanted in on the action, as did Disney fans, so everyone collaborated and build "Pandora - The World of Avatar" at Disney's Animal Kingdom. To do so, they had to spend over $500M. Pandora has been one of Disney's most popular and most visited attractions since the day it opened. 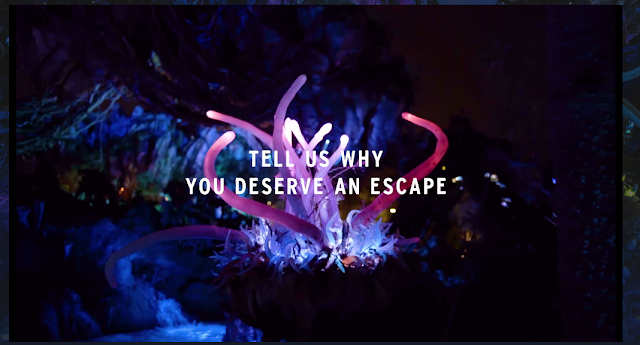 And, now, Disney is running a contest that will grant one lucky fan (plus a guest of their choosing) the opportunity to camp under the stars for a night in The World of Avatar.